I'm looking at that pink-centered meat and I don't even know who I am anymore! It's so beautiful and doesn't gross me out in any way whatever. My younger self is recoiling in horror. Maybe there is hope for sushi yet? The carne asada I'm drooling over is from Roy Choi. Skirt steak gets dunked in a flavorful marinade infused with mirin and citrus, then grilled or broiled to perfect tenderness. The accompanying pico de gallo gets a slight Korean twist of heat through some gochujang, and together, they are really pretty excellent! I first tried out this recipe a few years ago for a beach vacation, and while it was delicious, it also suffered from the lessons I learned about cooking for and feeding a group of 18 friends, so I was eager to try it again in the quiet and calm of my own kitchen. I'm so happy I did. Aside from the beef, the other stars of this show are the tortillas. Have you tried making your own before? 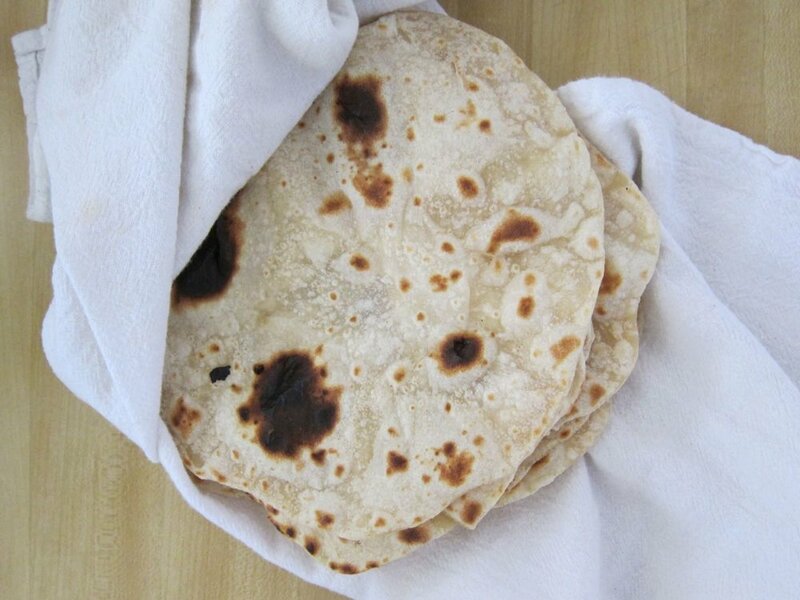 I've done corn tortillas a few times, but I hadn't really ever attempted flour tortillas, ever since Claire and I took a tapas cooking class together in Boston where the group making the tortillas produced more of a chewy, flavorless flatbread. But Claire had told me that the recipe in Mark Bittman's baking book was delicious and easy, and who am I to argue with Bittman? I made a batch one day to use up some leftover Bo saam, and blew myself away with my skillz. These are far easier and quicker to make than you'd imagine, and if you use a good butter or oil and plenty of salt, not at all like a bland flatbread! I haven't bought tortillas in two months. You can make the pico de gallo ahead of time, when you add the meat to the marinade. The flavors will be even better incorporated after a sleep in the fridge. You can roll and cook the tortillas in advance as well, or just before you want to cook the meat. They will stay warm and soft tucked into a towel. 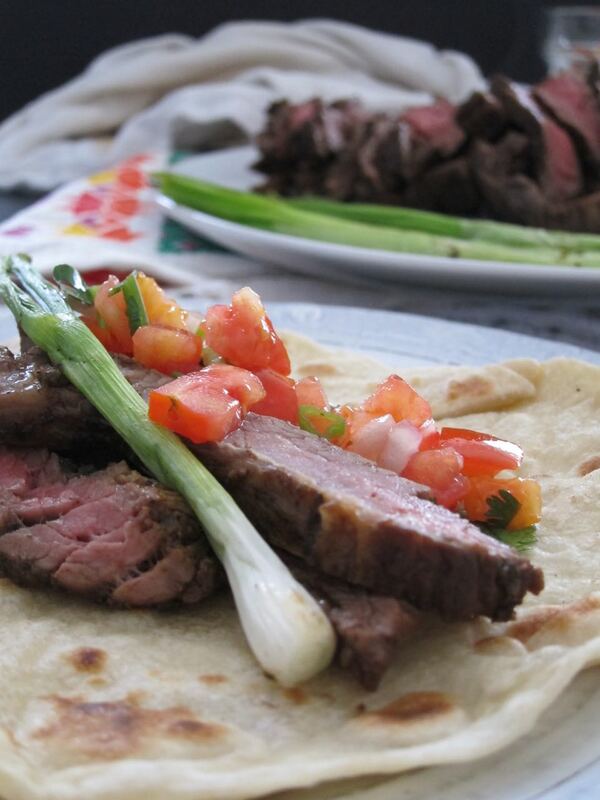 Once you've got your meet cooked to perfection, slice it and serve with the pico and maybe some charred scallions, and tuck it all into your perfect tortillas. Serve with beer and you are having your best Sunday ever. Make the marinade: Heat your oven's broiler and roast the jalapenos on a baking sheet, turning as needed, until the skins are black, blistered and charred. Place peppers in a plastic, sealable bag or wrap in foil and let steam for a few minutes. Then remove and peel jalapenos, discarding the skins, stems and seeds. Place the jalapenos in a blender, along with the tomato, onion, garlic, sugar, chili powder, black pepper, and salt and pulse to blend. Add the cilantro, orange juice, lime juice, mirin, and beer and blend until you have a smooth marinade. Place the pieces of beef into a large gallon sealable bag or in a large bowl and cover with the marinade. Seal the bag or cover the bowl with plastic wrap and refrigerate overnight or for at least 4 hours. 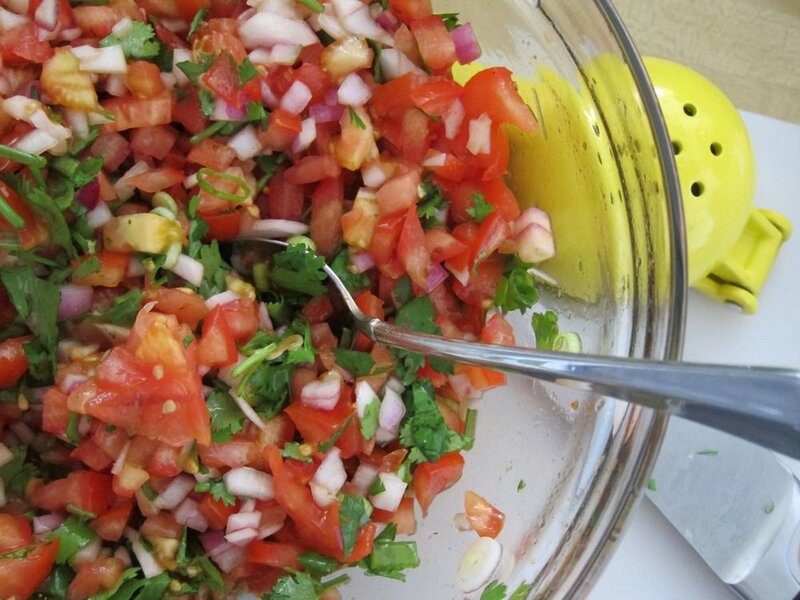 Make the pico de gallo: In a large bowl, combine all ingredients. Taste, and adjust for salt and add more lime juice if you want. Cover and refrigerate until needed. Make the tortilla dough: In a food processor or in a large bowl, combine flour and salt. Pulse in (or stir) the fat until incorporated throughout. Add the boiling water and pulse to combine until the dough forms a ball. If using a food processor, run for another minute, and if not, knead the dough for about 5 minutes on a lightly floured counter. Wrap dough in plastic and let rest at least 30 minutes at room temperature. At this point, you can refrigerate it until you need it, but make sure you bring it back to room temperature before rolling tortillas. When you are ready to cook, heat a grill on high, an oven to high heat, or turn on your broiler. If using the oven, preheat a baking sheet. Make the tortillas: divide the dough into 8 pieces and roll into balls. Let rest on a lightly floured surface, covered, for about 10 minutes. Heat a large, heavy skillet (cast iron is best) over medium-high heat. Roll the tortillas out into circles one at a time (or you can use a tortilla press if you own one) to as thin as possible, at least 8 inches across. Place the rolled dough onto the hot skillet and cook 1-2 minutes, until dough turns opaque and brown spots begin to appear. Flip and cook another minute on the other side. Adjust the heat as needed and repeat with remaining dough, tucking the cooked tortillas into a clean kitchen towel to stay warm. Cook the meat: to your heated grill or oven, place the meat (on a pre-heated baking sheet please if using the oven) and cook to desired doneness, about 10 minutes for medium rare. (This took a little longer in my oven because my broiler doesn't like to stay on.) 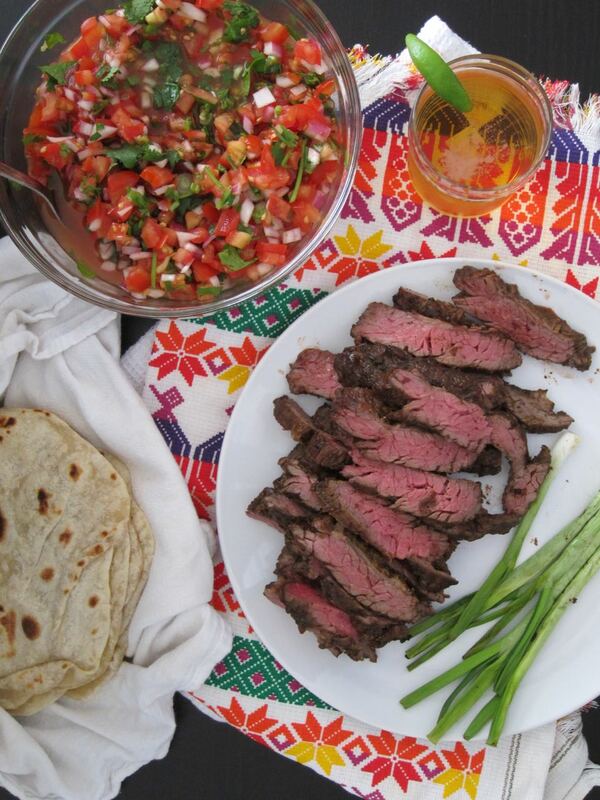 Let the meat rest for a few minutes while you gather your tortillas and pico de gallo. This is the time to grill or char some scallions if you like. Slice the meat against the grain, and serve! This pico de gallo recipe makes A LOT. I'm talking about a large mixing bowl full, so adjust the amount accordingly. If you are sharing with friends, it is perfect with tortilla chips.